Libraries are no longer just about books. At one time, libraries were associated with endless rows of books, hushed silences and mundane surroundings. Not anymore! 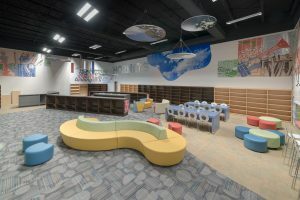 Today’s contemporary libraries have become vibrant meeting places where people from all backgrounds can access exciting new learning materials. 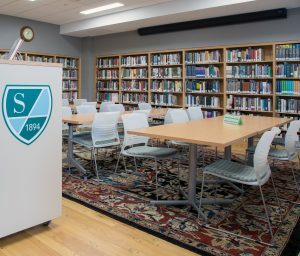 On their quest to becoming exciting communities, libraries have introduced computer rooms, cafes, and conference facilities. 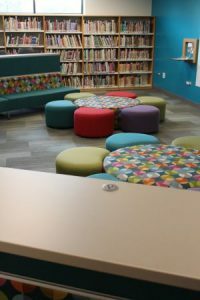 Of course, amid all these new facilities, libraries are still fundamentally a place to store books and important documents, and there is now a need to create living, breathing spaces that meet the needs of the contemporary library goers while making full use of the space available. In today’s digital world, we no longer rely on printed materials as our primary resource for learning. Instead, we make frequent and steady use of digital information. 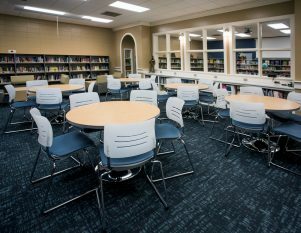 Traditional library spaces have become less of a resource for checking out books as users shift to a reliance on digital information and its accessibility. 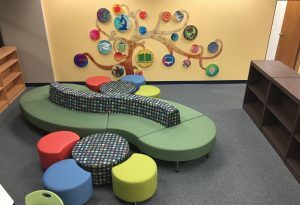 Additionally, collaborative learning and interdisciplinary teaching methods have become commonplace in education and require services and spaces not historically found among traditional library offerings. Today, libraries must transition away from their primary roles of book access and storage and find ways to remain relevant to the public. 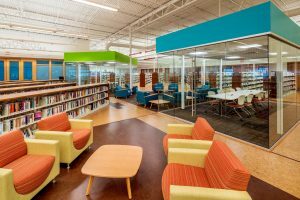 Libraries must further leverage their spaces to better support the digital age. Books are precious commodities that should be protected and safeguarded. If you’re on a quest to make room for new space in your library but don’t want to cull your immense book collection, you’ll be pleased to know there is another way. Mobile storage systems can make maximum use of your available space and can reduce the space conventional bookcases require by up to 50%. Using state-of-the-art mobile carriages, you can store double the books in one storage solution with absolutely zero wasted space. At the press of a button or the crank of a handle, library visitors can rotate through the storage aisles and retrieve the resource they are looking for quickly and easily. Some resources only get viewed once in a blue moon but, nonetheless, they are cherished materials that need storing carefully. 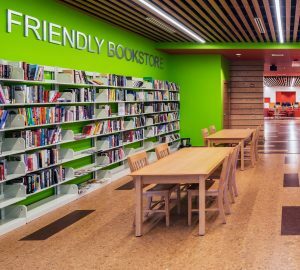 For this reason, more and more libraries are starting to store important collections offsite, freeing up valuable space within the library itself while also ensuring important volumes are available to those who need them. 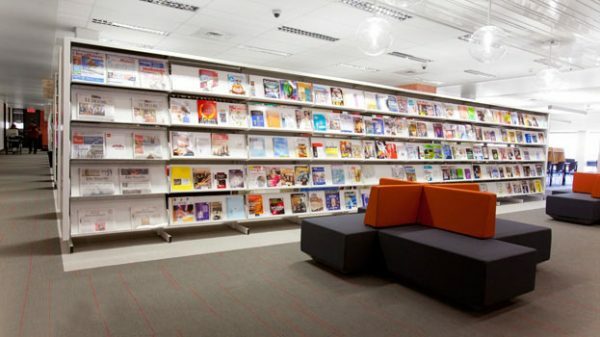 When you want to make more effective use of your existing library while also ensuring critical books and other materials remain available; creating an off-site book depository is an excellent solution. 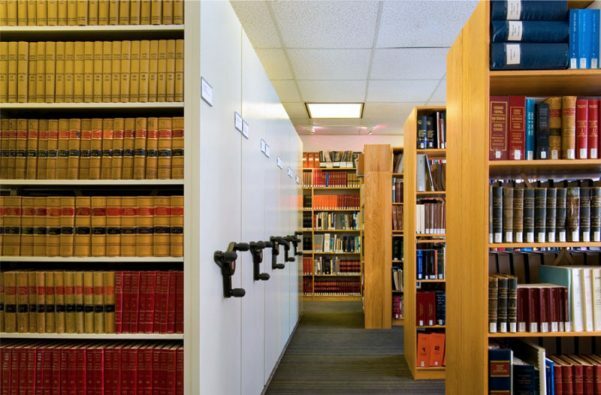 Storing such immense volumes of books, research materials, and archival documents requires an intelligent storage system that maximizes all the available space while being flexible enough to meet future needs. 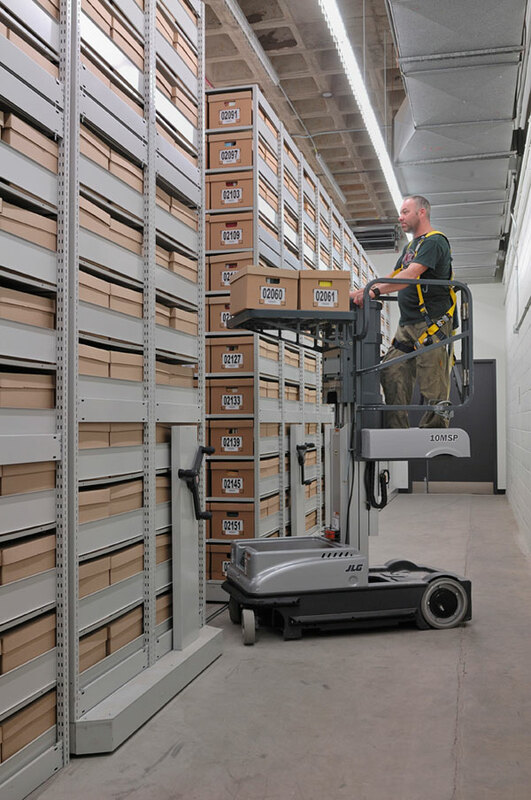 By installing a mobile off-site archival storage system you can create an intuitive archival space that is fully aligned with the best practices of the United States Archives and Records Administration (NARA). 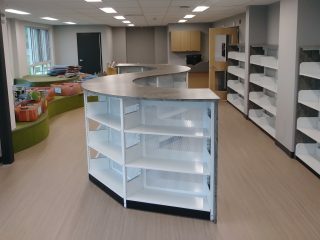 With our advanced library shelving and storage solutions, you can optimize the space that is available to you and offer programs and services students need. 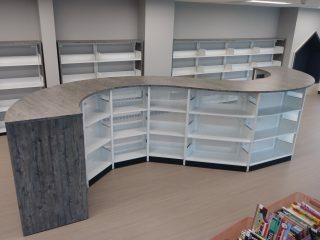 To find out where to begin with repurposing your library, contact one of our storage experts today. Workpointe is a deliberately different kind of company. We’re all about service and long-term relationships, rather than just making a sale. We’re committed to being both professional and personable – which means you’ll like our work and you’ll like working with us. We ask the right questions, anticipate challenges and deliver solutions. If there’s a problem, we’ll make things right. We’re always willing to work harder and go the extra mile for our clients. In short, we’ll do everything we can to make your job a little easier. Workpointe serves Washington, Oregon, Alaska, Idaho and Montana, supporting regional and global projects. © 2019 Workpointe. All Rights Reserved.